Concerns that a village post office could close in a review have prompted Plaid Cymru to take action. Plaid Cymru’s Clwyd South candidate Mabon ap Gwynfor is calling on Post Office Ltd to re-categorise Glyn Ceiriog branch to ensure its continued presence in the Ceiriog Valley. Post office branches across the UK are currently being reviewed by the Government and the Post Office, with many branches closing or moving to new premises in a local shop. Plaid Cymru locally is concerned that many rural communities in particular could be left without essential services. However, recognised Community Post Offices continue to receive financial support from the Post Office to maintain their services. 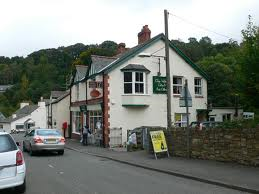 “I have written to the Appeals manager urging them to recognise Glyn Ceiriog Post Office as a Community post Office. If others wish to send letters of support to the appeals process then they’re more than welcomed to email them to me and I’ll forward them on to the appeals manager. “Those wishing to send a letter of support should send them to mabonapgwynfor@plaidcymru.org with Glyn Ceiriog post office in the subject bar”. An online petition at http://www.gopetition.com/petitions/keep-glyn-ceiriog-post-office-where-it-is/sign.html has been set up to support the campaign to support the post office.